The name "Zao" is a greek word that means "to be among the living". This season, we are highlighting the ways that Zao as a community joins Jesus and the tradition of Jesus followers in seeking the fullness of life. Our world is a mixture of creative, vibrant, beautiful life, alongside systems of death, destruction and oppression. 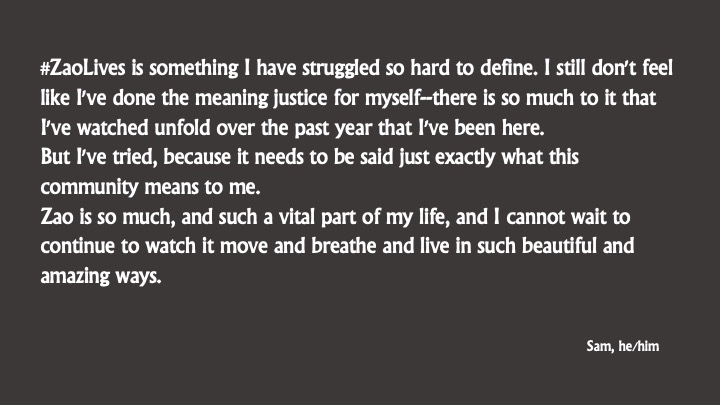 At Zao, we look to Jesus and one another to fully seek life and dismantle the mechanisms of death that plague us as individuals, communities, and the world. 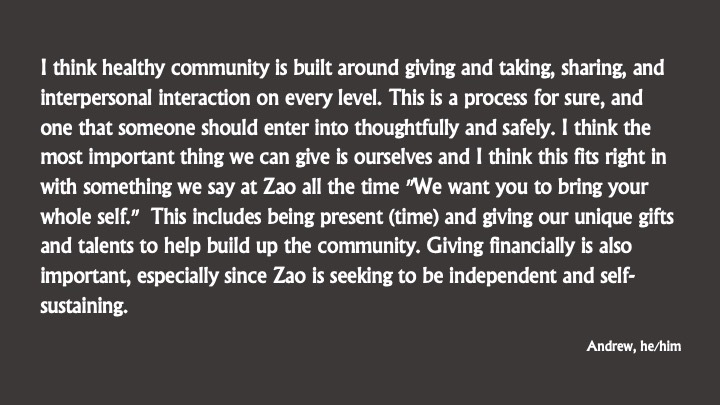 During this season, we are asking the community to consider how they might participate financially in this community—to support the work of Zao and the community that we are creating together. 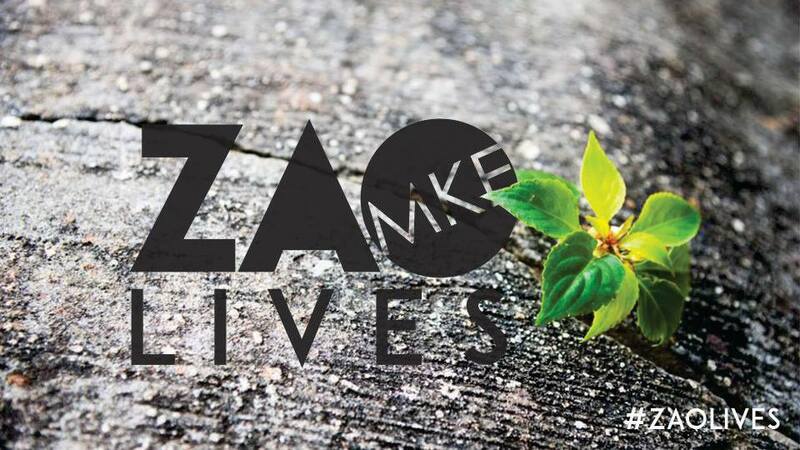 We will be hearing together the many stories of how #ZaoLives in our lives and in our city and finding ways that we can all participate in that. Check out more information on how you can support Zao on a regular basis, and we hope to see you on a Sunday morning as we explore more how #ZaoLives! 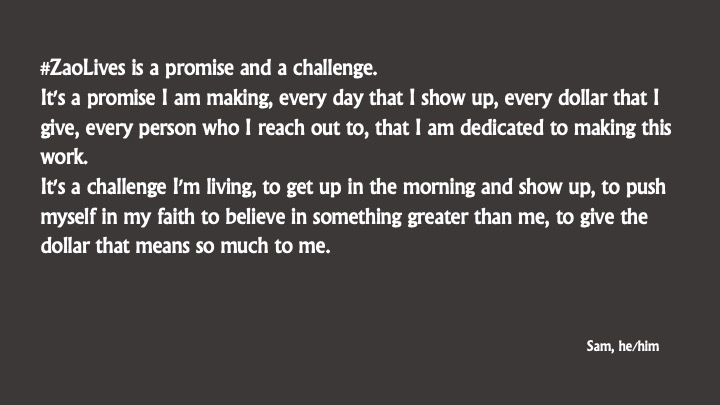 Join us as we create this community together.